Coup De Main presents: Fall Out Boy announce a New Zealand 'Save Rock And Roll Tour' date! It’s the most exciting news to happen since, well, since Fall Out Boy announced that they were returning from hiatus. 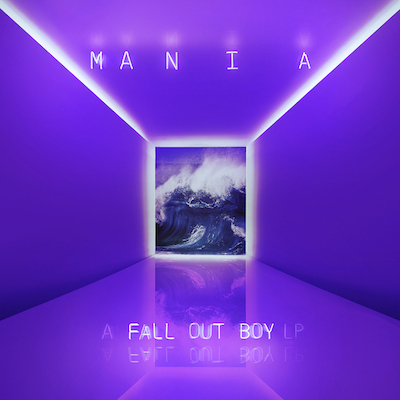 The band that was the soundtrack to so many of our younger years, Fall Out Boy, are returning to New Zealand for one show only at Auckland’s Powerstation this Easter! Announcing their return to the music scene after a four year hiatus earlier this year with their single ‘My Songs Know What You Did In The Dark (Light ‘Em Up)’, Fall Out Boy made their live performance return with a limited run of club shows across the United States, and with two dates set in Australia for late March - which, might we add, sold out really REALLY fast - all us Kiwis can thank the magical music genie for listening to our wishes! Patrick Stump, Pete Wentz, Joe Trohman and Andy Hurley, will be bringing their epic club show set to Auckland for a once in a lifetime intimate show at Powerstation. IT'S A FALL OUT BOY MIRACLE! Tickets will be $89.25 [+ booking fees] and go on sale to the general public from 9am on Monday, March 18th, via Ticketmaster - with a Frontier Touring pre-sale available from 2pm on Wednesday, March 13th. We can’t stress just how fast all their reunion shows have sold out so far, and we’re expecting the Auckland date to sell out just as quick, so please please please get your tickets as soon as possible and join us in the amazingness that will be Fall Out Boy live, in our own backyard, this Easter... who says you need eggs to make Easter awesome? Fall Out Boy > chocolate. "when we were kids the only thing that got us through most days was music. its why we started fall out boy in the first place. this isn't a reunion because we never broke up. we needed to plug back in and make some music that matters to us. Wednesday March 13th from 2pm NZDT to Thursday March 14th 2pm NZDT. General Public On-sale: 9am NZDT Monday, March 18th. MusicPanic! At The Disco's Brendon Urie & Fall Out Boy's Pete Wentz interviewing each other. MusicWatch: Fall Out Boy performing 'Hold Me Tight Or Don't' live on The Late Show. MusicCoup De Main presents: Milky Chance's 2017 New Zealand show. MusicFall Out Boy - 'Centuries' music video. MusicCDM presents: All Time Low + The Wonder Years announce a Christchurch show!